2 WHAT WAS HE DOING? 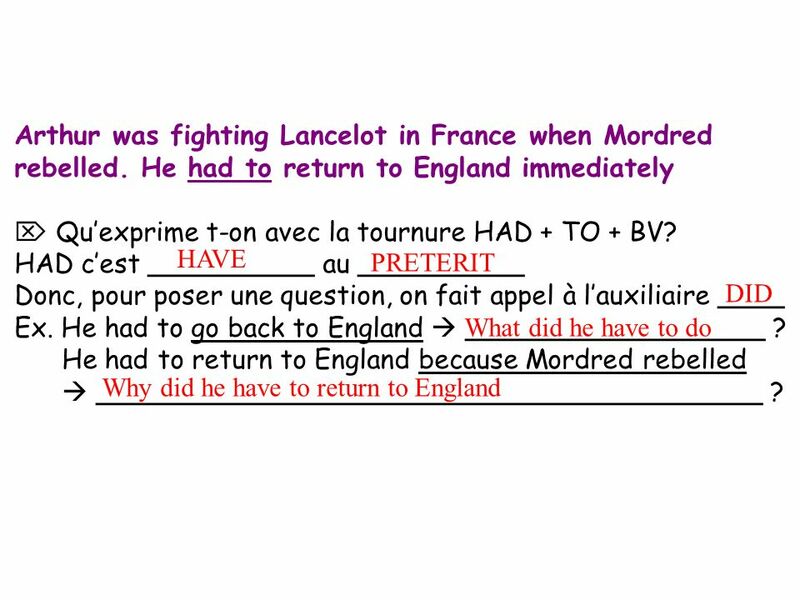 WHEN MORDRED REBELLED … WHERE WAS ARTHUR? ? 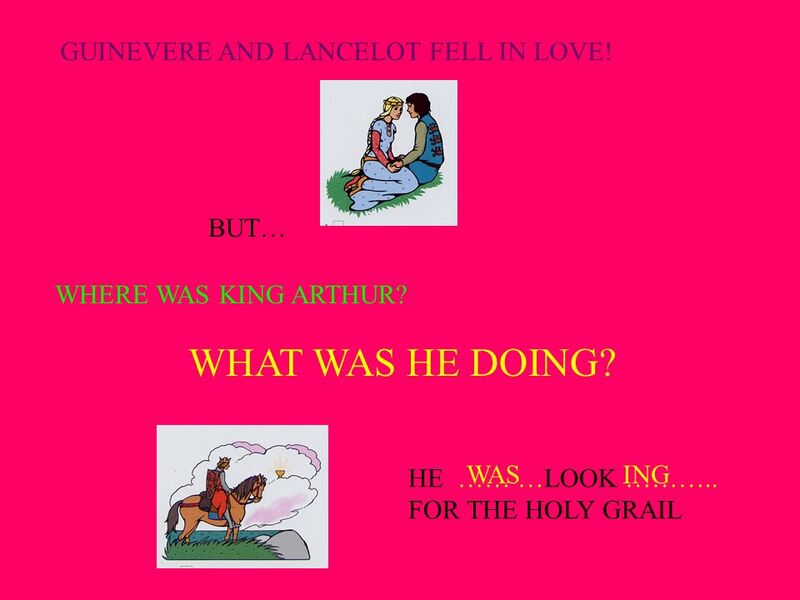 …King Arthur WAS lookING for the Holy Grail. 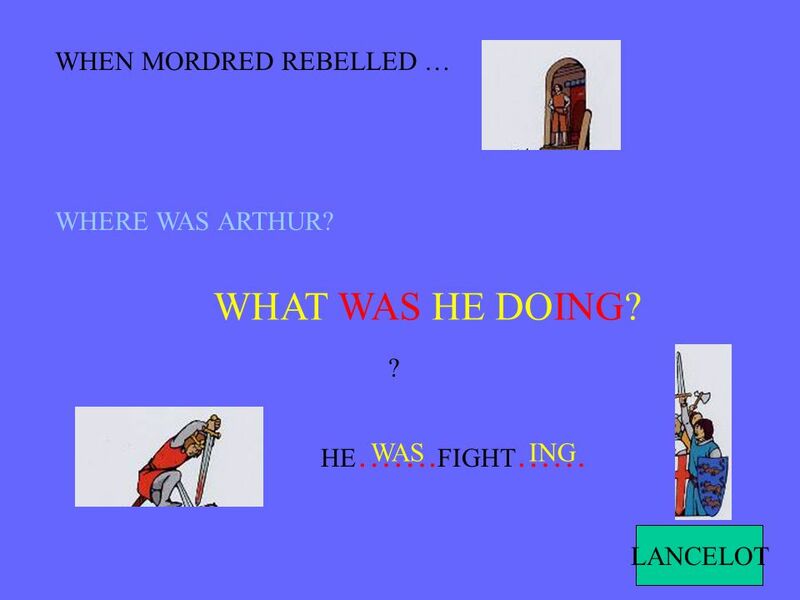 When Mordred rebelled,….. …Arthur WAS fightING Lancelot. 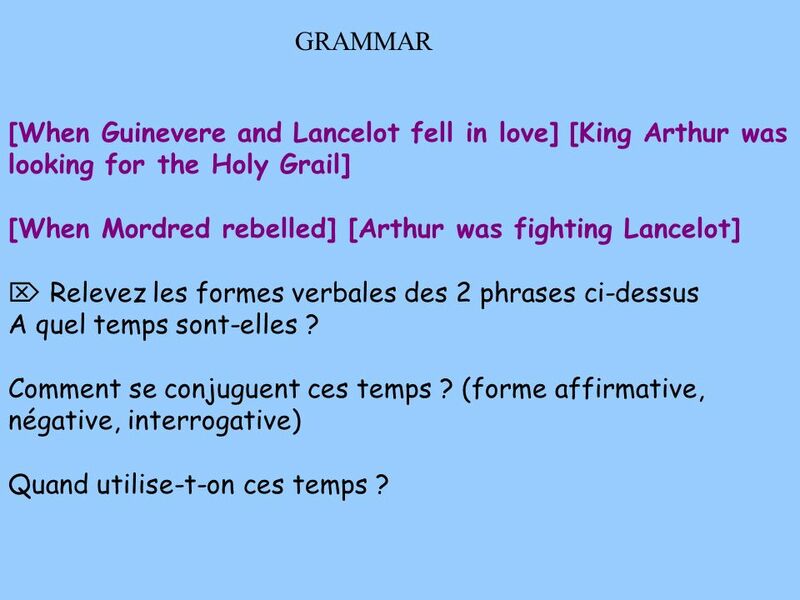 GRAMMAR [When Guinevere and Lancelot fell in love] [King Arthur was looking for the Holy Grail] [When Mordred rebelled] [Arthur was fighting Lancelot]  Relevez les formes verbales des 2 phrases ci-dessus A quel temps sont-elles ? Comment se conjuguent ces temps ? 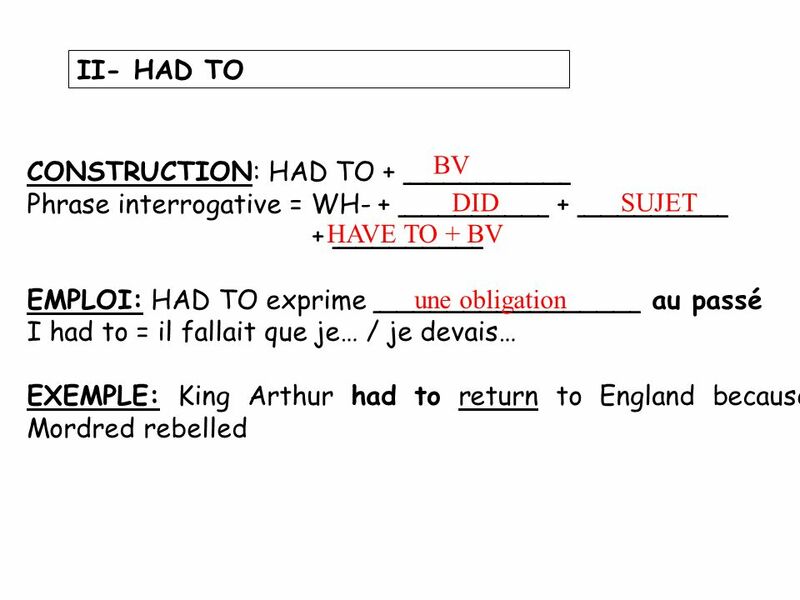 (forme affirmative, négative, interrogative) Quand utilise-t-on ces temps ? 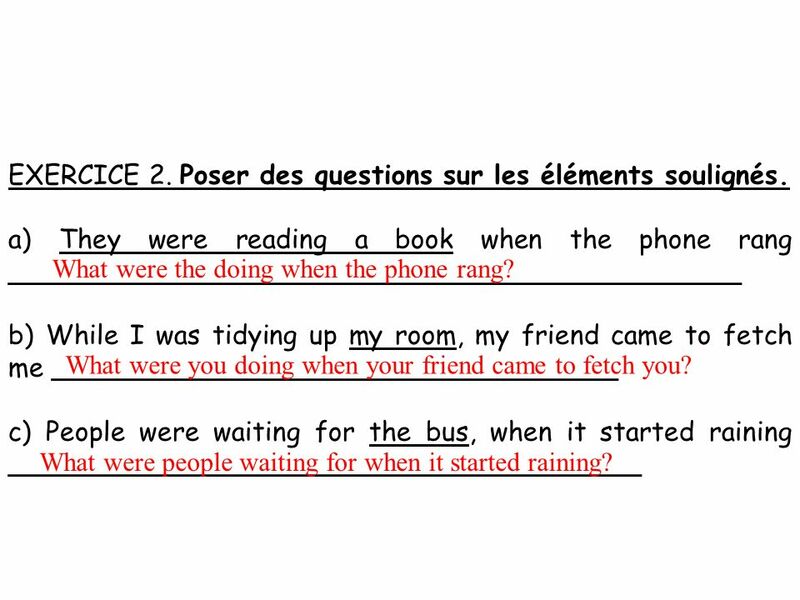 9 EXERCICE 2. Poser des questions sur les éléments soulignés. a) They were reading a book when the phone rang ____________________________________________ b) While I was tidying up my room, my friend came to fetch me __________________________________ c) People were waiting for the bus, when it started raining ______________________________________ What were the doing when the phone rang? What were you doing when your friend came to fetch you? What were people waiting for when it started raining? 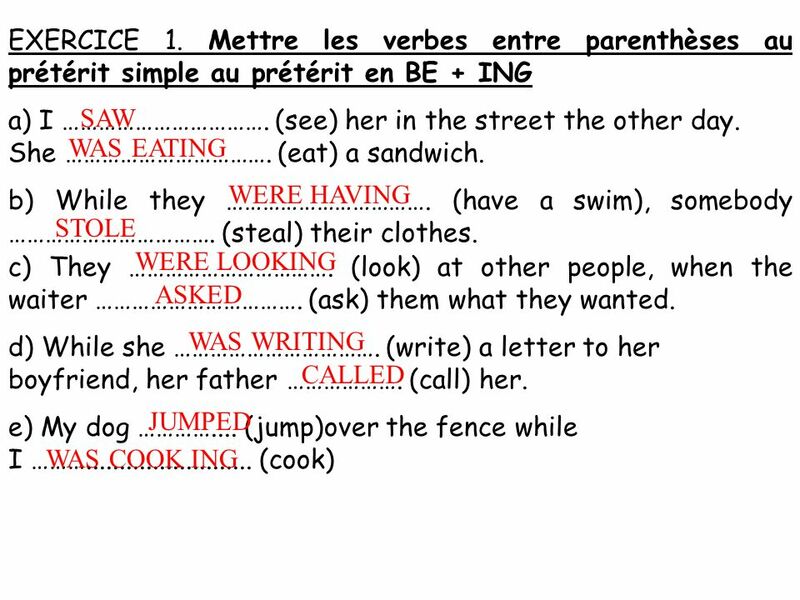 10 EXERCICE 3. 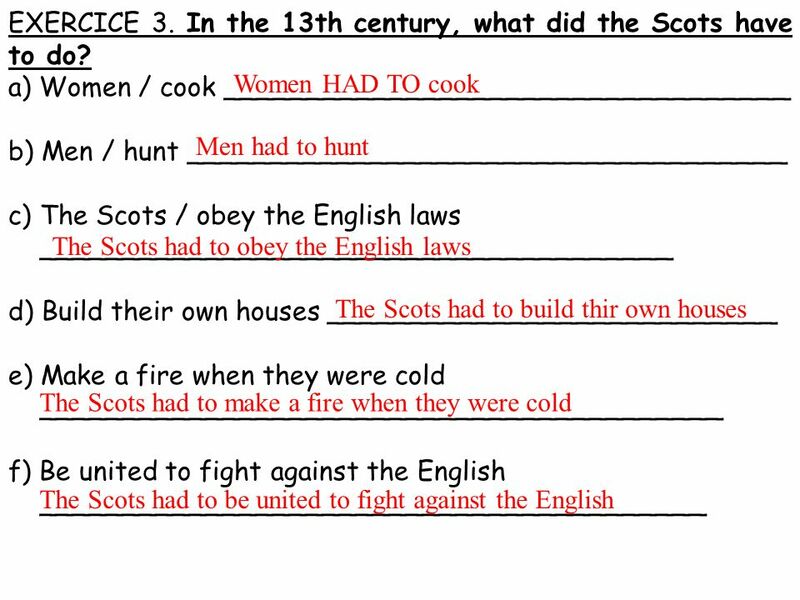 In the 13th century, what did the Scots have to do? 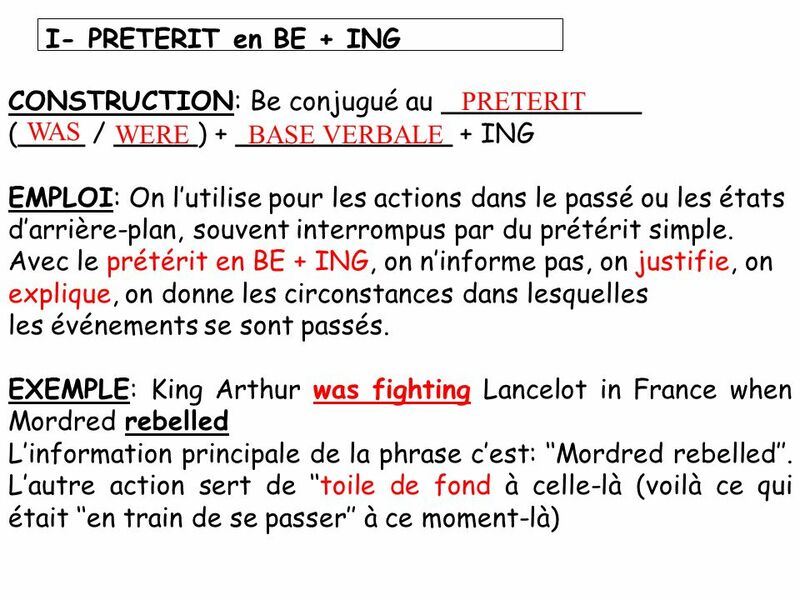 Télécharger ppt "WHAT WAS HE DOING? 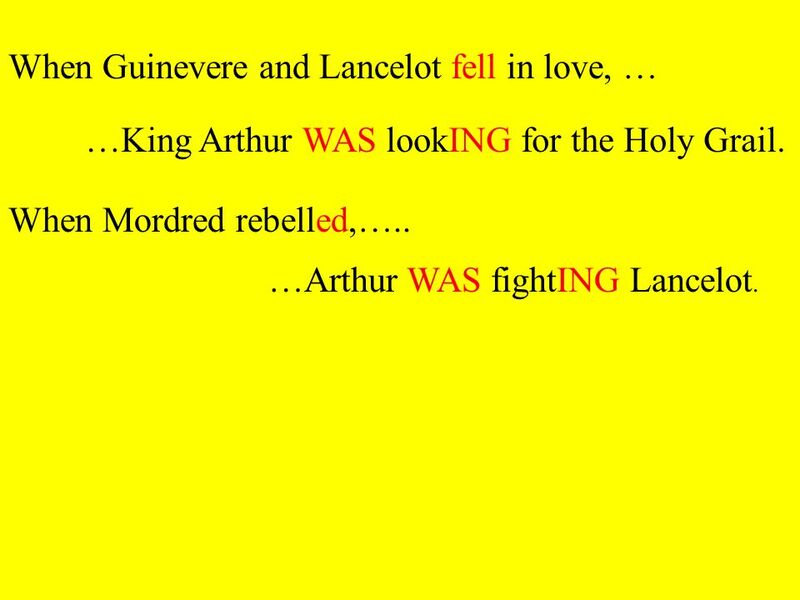 GUINEVERE AND LANCELOT FELL IN LOVE! BUT…"